Light Emitting Diodes (LED) are everywhere. There is a good reason for that, we love them! Most of us are using LEDs to communicate information, debug our code or simply add some style to our electronic projects. One of the first things one normally want to do is pack a bunch of LED to create a mini display. 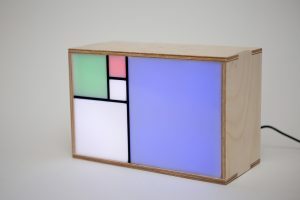 Lets see how we can build a simple 3×3 LED matrix display in less than an hour. 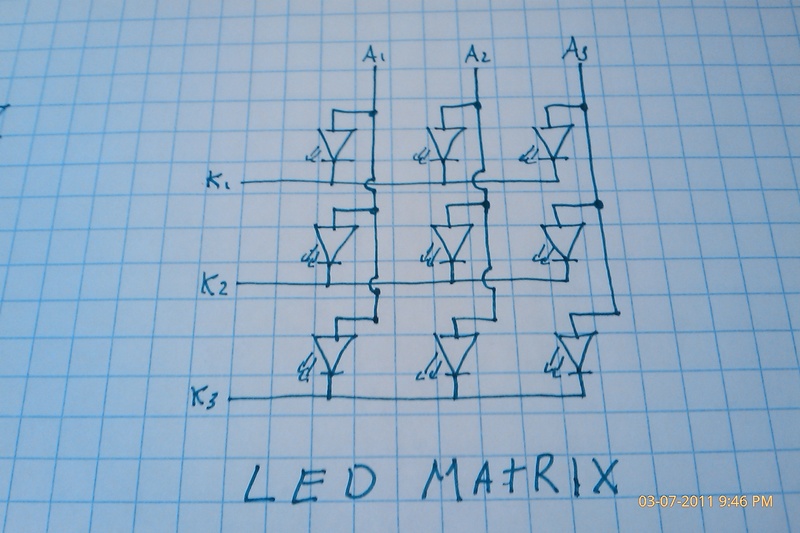 The following program will display a few different patterns on the LED matrix. The code is ugly and I don’t really care. We are not here to talk about code re-use but to play with LED! 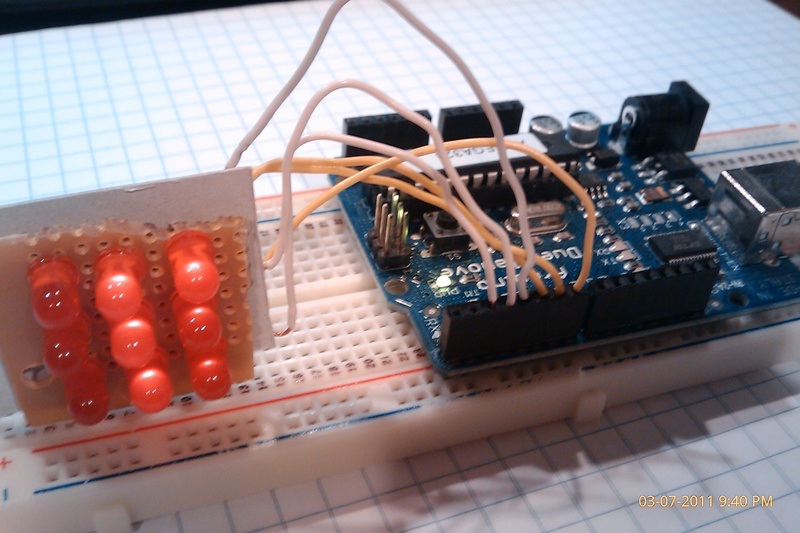 To match the code and the circuit displayed here, connect K3 with pin #5 and A3 with pin #2. I guess you will figure out how to connect the remaining LED wires! Thanks, you are very generous as a teacher with your examples. Thanks for your comment … I which I had more time to work on my blog! Send us pictures of your project!